The girls lucked up with back-to-back field trips! Friday we joined Homeschool BFF at Gene Green Park for a lesson about the dairy industry. 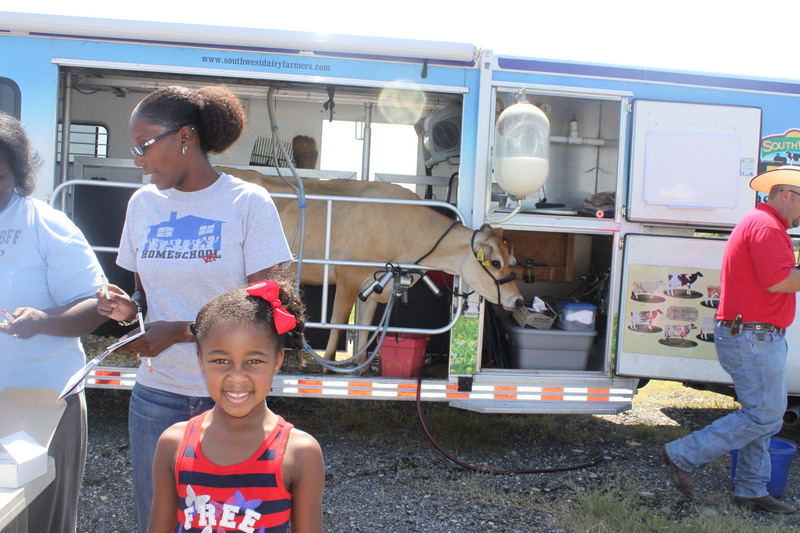 The Mobile Dairy Classroom is a traveling milking parlor featuring a live cow and an oral presentation. A trained instructor was there and demonstrated how to milk a cow, described how milk goes from the farm to the consumer, and he presented the group with ice cream scoopers as give-aways. The girls seemed to enjoy it, and I’m willing to bet they actually learned a thing too! The worst part about it is that it was HOT, so we ended the morning with an enjoyable time playing in the park’s splash pad. 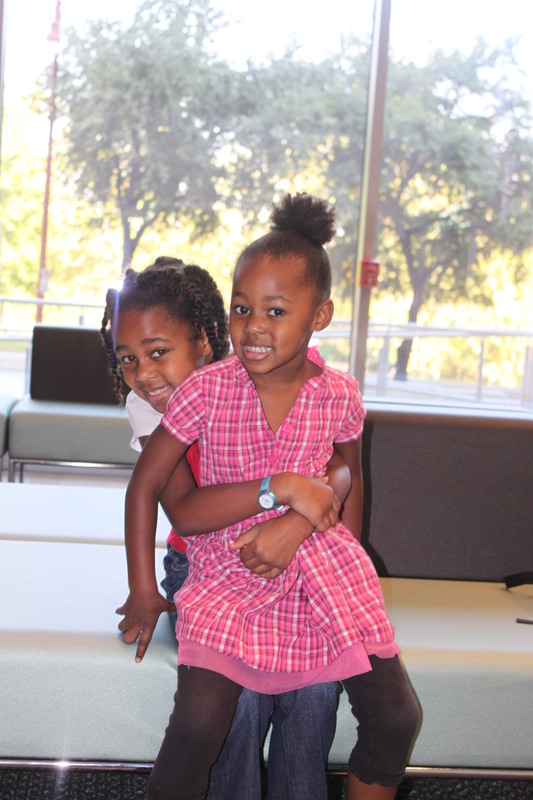 Today is Monday, and we just returned from the Houston Ballet Educational Performance series. It was an info-packed hour-long performance of dance styles representing the 7 continents, and the dancers were lively and fun to watch! Ray worked from home today so he got a chance to join us. 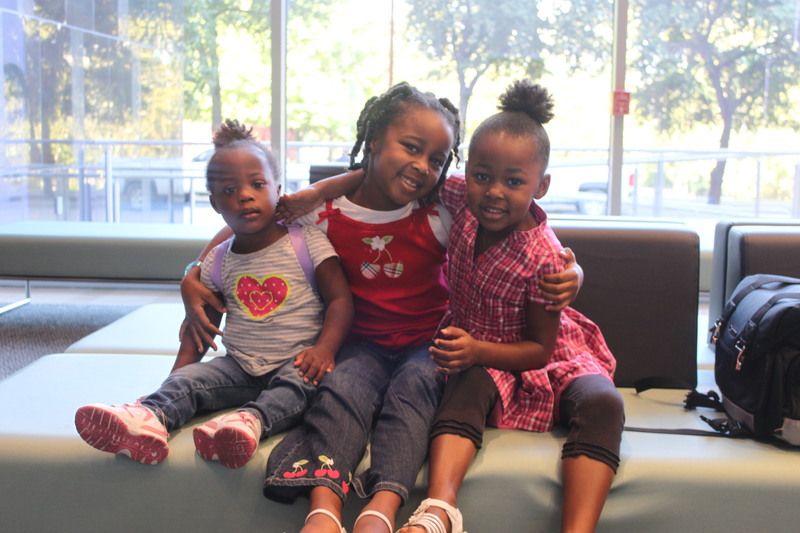 Unfortunately, there was no picture-taking allowed during the show, but I got a few shots of the girls in the lobby while we waited. Previous PostPrevious We’re Growing a Frog!